This photo taken by my brother Ken Rhinehart. 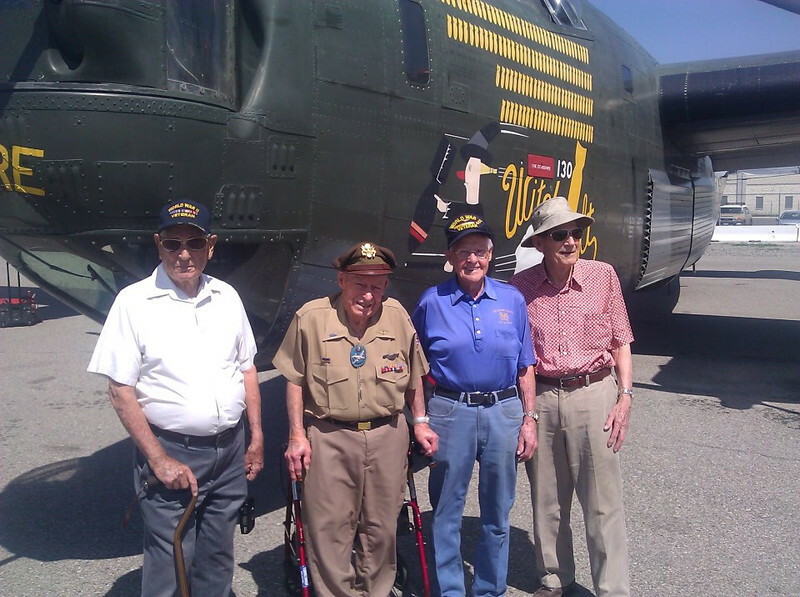 In Facebook, he said: Four WWII vets in front of a B-24. The two men in the middle were in the same bomber squadron, flying missions over Borneo and the Philippines. The man on the right flew for the British during the war. I asked him where he was on D-Day. He said they took off from Italy, and flew over the English Channel, in time to see thousands of ships heading toward Normandy. Wow! What history. I thanked them for their service.